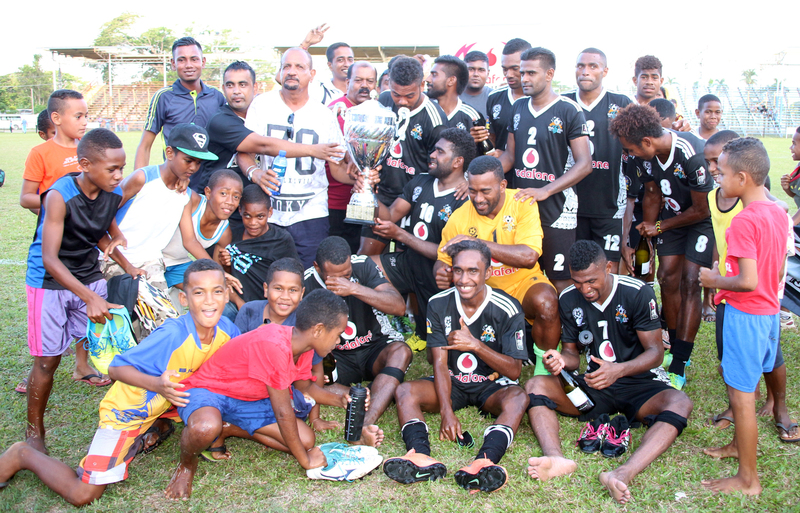 Ba Football side has won its 20th Vodafone Premier League title after their final match against Labasa ended in a nil-all draw at Govind Park. Ba will join Rewa in next year’s OFC Champions League competition. Ba coach Imdad Ali said much had been said about the team after failing to win any tournaments this year which inspired the side to work hard and deliver the goods. “The win has silenced the team’s critics, “said Ali. He said the commitment of the players and the support of their team president Rishi Kumar together with backing of their family members enabled the side to win the league. “There have been a lot of critics as far as the team is concerned, people should change the attitude towards the team,” he said. “Criticisms made the team strong and I thank the players for their commitment to win the league title. Ali also thanked the fans for their continuous support even though the side failed to live up to expectation in some of their earlier matches. “Apart from the supporters, all credit goes to the president, he also provided jobs to the players and has been supporting them for the past years. Ali said the win was also perfect birthday gift to his wife Tara Ali who celebrated her birthday yesterday. He added the win was a good platform for the upcoming Pacific Cup and the O’League campaign. Dreketi 2-1 Ba, Lautoka 9-1 Suva, Rewa 1-0 Nadroga, Nadi 2-1 Labasa, Rewa 1-1 Lautoka, Ba 0-0 Labasa Nadi 0-0 Dreketi, Nadroga 6-1 Suva.